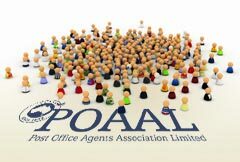 POAAL’s Victorian Branch invites Licensees to a special POAAL meeting in Melbourne on 24 August. Our guest speaker will be Christine Corbett, Australia Post’s new Executive General manager of Retail Services. As the head of Australia Post’s retail network, we look forward to hearing Christine’s vision for the role of LPOs in the 21st century. There will be a discussion of National and State matters following Christine’s presentation. Join us and take part in what will be an interesting and informative evening. RSVP to the POAAL National Office by fax on 03 96544577 by Friday 20 August.